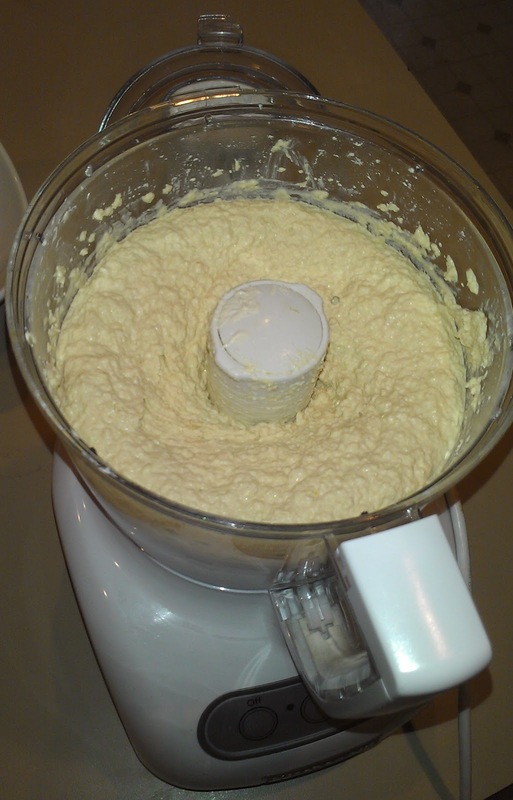 I think I have finally perfected my hummus recipe. At least, my husband and friends seem to think so. I would love to hear other people's thoughts on it. 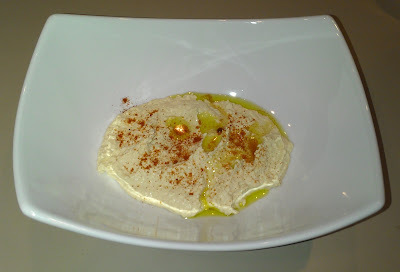 I'm not going to say that my hummus is as good as the stuff they make at my favorite Mediterranean restaurant, because it's not, but it's pretty darn good. And it's a hundred times better than the store-bought stuff. Try it out, and let me know if you agree. 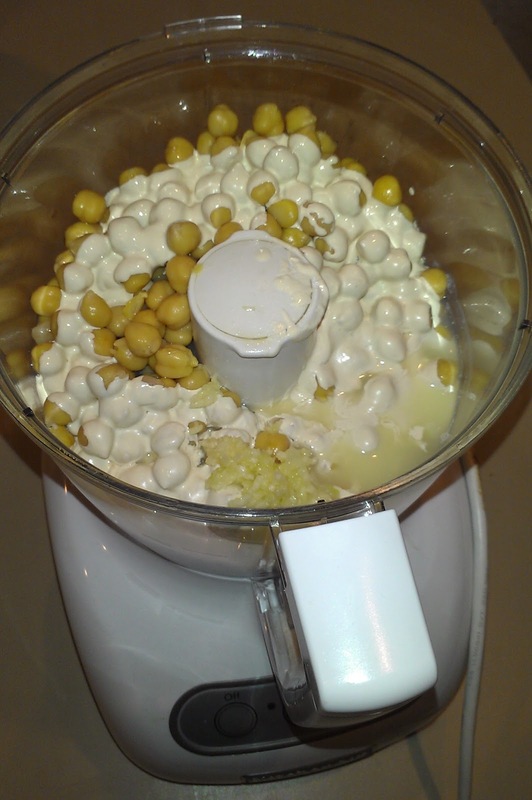 I drain one can of chick peas completely and drain the other one about halfway. 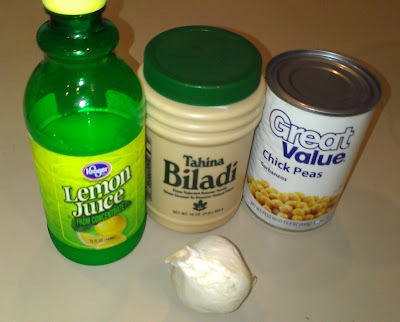 (I know, I know, they don't used canned chick peas for authentic hummus. But it's so much faster and I'm happy enough with the results. If you want, you can cook the chick peas yourself for a more authentic hummus). Throw everything in the food processor. And that's it! Homemade hummus in about 5 minutes. Serve with olive oil and paprika. 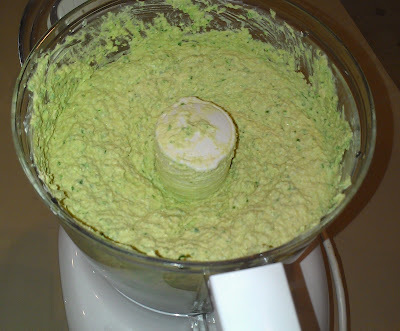 This is my hubby's favorite way to eat hummus. The fresh spinach adds a very refreshing flavor to the hummus and contrasts pleasantly with the garlic. I prepare the hummus exactly as shown above. 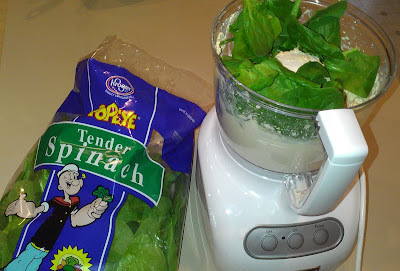 After pureeing the mixture, I add a couple handfuls of fresh spinach leaves. I usually let the processor run for 30 seconds or so, and then use a spatula to help mix the leaves in, and then turn it on again. I repeat this a few times, sometimes adding more spinach as I go. And here it is, served up in a pretty dish. 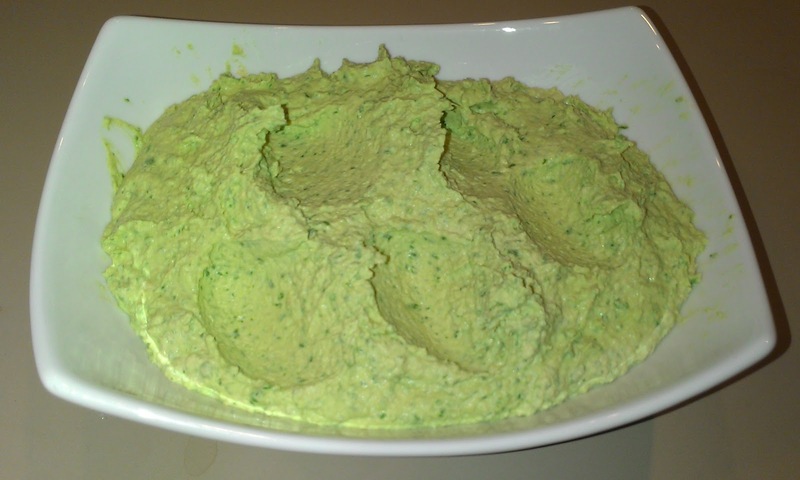 I don't typically garnish my spinach hummus with olive oil and paprika, but you may enjoy it more that way.